I received an early review copy of “Murder in the Mail” courtesy of the curator Felicity Banks, and you can hear her talk about this project in detail and interactive fiction generally on the latest episode of my podcast Lost the Plot. You can also sign up to “Murder in the Mail” yourself by checking out the Kickstarter campaign, which closes on 14 April 2018. “Murder in the Mail: A Bloody Birthday” by Felicity Banks is an interactive fiction series of letters, postcards, artwork, photographs and objects that are posted to you over the course of 8 weeks. You are Hachi, a university student whose cousin Naomi was murdered at her own birthday party. There were six people aside from Naomi who attended the party: you, Naomi’s mother and four art student friends from university. They all agree to send you letters and their artworks about what happened that night, and it’s up to you to interpret the clues and figure out who is the murderer. This is a really fun, engaging way to experience a murder mystery. As a reviewer, I received nearly all the parcels in one hit and I was racing through them to find out more information and read more clues. However, I think stretching them out over 8 weeks would be even better way to experience the anticipation and intrigue of what is coming next. The other benefit to stretching it out is the opportunity to discuss your theories on the messageboard with other readers between installments. The story itself was really enjoyable. I love a puzzle, and I really liked the twists and turns and how each character’s motives and idiosyncrasies emerged over time. There are plenty of red herrings and plenty of interesting social issues jammed into this story, and it’s quite incredible how invested I became in the characters over each installment of the story. The artworks are a great touch to bring life to the story and to give the characters and extra dimension of reality. This is a great example of how a number of authors and artists can collaborate together to make something really interesting. As I mentioned above, it’s currently only available via Kickstarter but it is an all-or-nothing project, so if it doesn’t its funding goal, you won’t get an opportunity to experience it. If you love murder mysteries and want to support local Canberra authors and artists, I really encourage you to check it out and find out what happened to Naomi. I received a copy of this book courtesy of the publisher, Leaf by Leaf Press, which is a cooperative of writers from the UK in an area called the West Midlands where I lived for 6 months as an 18 year old. I was pretty excited to read this one and retrace some familiar places. “A Perfect Alibi” by R. J. Turner is a mystery/thriller novel that starts out in a cemetery. A young woman called Jane returns to her hometown for her estranged father’s funeral. When the time comes to lower his coffin into the ground, a naked woman’s body is discovered in the grave. Detective Inspector Dundee and Detective Sergeant Eccles are assigned the case, and while they are investigating Jane discovers that her father had been hiding even more from her than just his feelings. However, he had the perfect alibi, right? He was already dead. This is a modern take on the mystery/thriller genre. 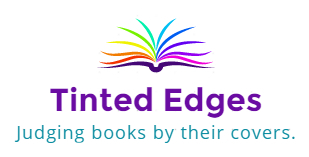 I really enjoyed the diverse range of characters, including the lesbian police officer, people whose linguistic background is critical to the plot and the characters in wheelchairs who contributed significantly to solving the crime. Turner did an excellent job as well depicting the difficulty balancing work with family and casts Dundee’s moral weaknesses in stark relief against the better judgment of his female colleagues. He also manages to do with while maintaining the likability and relatability of Dundee which was an impressive feat. Without giving too much away, I think the part about this story that I struggled with the most was Pete’s. While I enjoyed Jane, Dundee, Eccles, Agnieska and most of the other characters, I found Pete a bit difficult to relate to and his arc a bit hard to engage with. I see how his story was necessary to move along the entire plot, but I enjoyed the parts with Jane, Dundee, Eccles and Agnieska far more. This was a fast-paced read with a surprising amount of depth, especially regarding the characters. I would be interested to see if Dundee gets up to more shenanigans in future books. 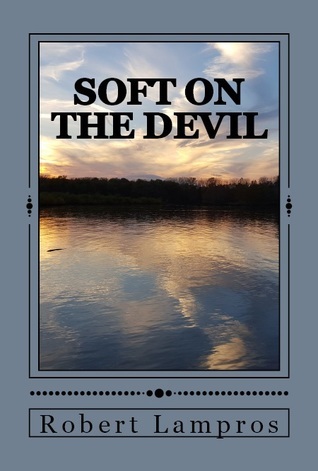 “Soft on the Devil” by Robert Lampros is a Christian mystery story about a young man called Ian. Ian lives a simple life – he lives by himself in an apartment, he works in a local cafe and he goes to church regularly. However, Ian’s life is turned upside down when his neighbour Cindy goes missing and turns up at his door a week later asking for help. When her body is found the next night, Ian decides to do his own investigating which ultimately brings him face to face with demons past and present. I was a little uncertain about reviewing this book, but I thought I’d try to have an open mind and give it a go. Lampros is a confident writer who creates a likeable everyman character in Ian. As the story progresses, you learn more about Ian’s difficult past and celebrate with him as he achieves small wins in his work and budding relationship. This is a quick and easy read. I think I only had two issues with the story. First, despite being a crime novel, it was left largely unresolved at the end. Secondly, despite the Christian themes and the otherwise matter-of-fact tone of the book, ghosts and visions were used a couple of times as plot devices. All in all, a surprisingly enjoyable and insightful story in a genre I wouldn’t ordinarily read.